You’ve seen the videos: fights over bargains in shopping centres, Black Friday riots, Christmas brawls over best-sellers. Deals don’t always bring out the best in humanity. So, flip that instinct. Today, buy every deal that you reasonably can, and then give it to whoever you can. Make your bargains work for someone else. Green: See some food marked at 50% off? Buy two – one to give away. Amber: Find a deal on your favourite food, drink, or clothes brand. Give it away to someone you think might love it. Red: Bulk-buy a necessity – toilet paper, cereal, underwear – and give it all away to a charity who can give it those in need. My son works as one of those people in the foyer at Tesco who hands out free samples and vouchers. Every week sees a different promotion – dog food, chocolate, a new breakfast cereal – and he’s literally got the T-shirt for all of them. You’d think his days would fly by, with queues of customers taking advantage of his generosity, but not so. Fair enough the ‘free chocolate’ days leading up to Christmas are winners, with customers practically putting on a disguise so they can turn up again and again – like Dopey wanting another kiss from Snow White. But a lot of the time, people are plain suspicious and at times he can’t meet either their eye or their expectations. ‘What’s the catch?’ they ask. ‘What am I being signed up to?’ Our Bible verse encourages us to ‘taste and see that the Lord is good’. As a diner might sample a mouthful of wine before committing to buying the bottle, or a customer might buy something on a promotional offer that later becomes a family favourite, tasting can lead to new experiences, even life-changing ones. Small generous acts during Lent might feel a drop in the ocean when faced with the hardships of our society, but those little drops are tasters of the heavenly realm. A door held open is a sample of welcome and a sense of belonging. An unexpected gift is a hint of loving grace. A coupon towards some chocolate demonstrates that celebration and a well-deserved treat is within our reach and our budget – for which we can be grateful! Offering glimpses and tasters might seem insignificant, but what a difference a deal can make. Let’s reach out today, connecting the people around us to the goodness of God. Jane Clamp is the author of Too Soon: A Mother’s Journey Through Miscarriage (SPCK) and co-editor of Merry Christmas Everyone (ACW). 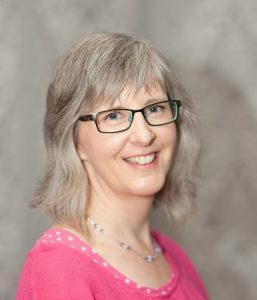 As an interior designer she has a heart for restoration which she reflects in her writing, appearing regularly on radio and contributing to blogs, devotionals and commentaries. She is a committee member of the Association of Christian Writers.